the way the engine functions will tell you a good deal about the potential source of a problem,indicators like plug condition, cylinder temperature, the ignition spark, or the rpm range a problem occurs at help locate the problem. swap that #3 plug to #4 as it seems to be burning cleaner and see if the problem remains with #3 or moves to #4 if it stays its certainly not the plug, if it moves its obviously the plug,if its not the plug after a test run of about 20 minutes the plug should clear up in its new location if its not badly fouled, if it does you then swap the #3 ignition wire with the # 4 ignition wire (ASSUMING THEY WILL REACH) if the problem follows the wire, then obviously the wires defective. lets assume the problem remains at #3 location after both tests and both the plug and wire check out ok in the #4 location but the previously good wire and plug moved from the previously good #4 both now still allow the plug to foul. 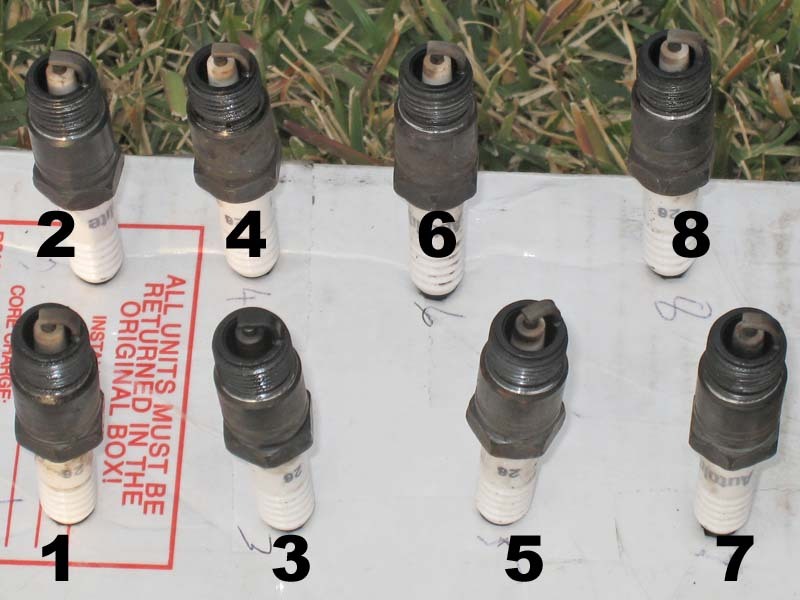 that indicates its probably in the distributor cap, or a badly adjusted valve,because its related to a single cylinder or bad valve seal leaking oil or its related to the fuel/air supply at #3 or its a mechanical issue like a bad injector carb jetting, a worn cam lobe or badly adjusted valve,each factor can be tested, individually, etc. its simply a process of elimination.